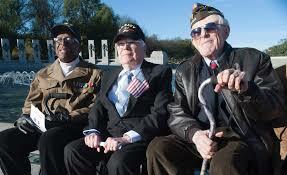 Note: According to this morning’s Philadelphia Inquirer, today is the federal observance of Veterans Day. Because the “official” Veterans Day falls on a Saturday this year, the Federal Government offices are closed today. But I think most parades and other celebrations will be tomorrow, when many more people can attend than if they were held today. 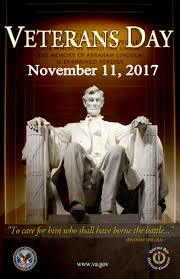 Feel free to celebrate the signing of the Armistice ending WWI today and tomorrow and to keep honoring our military personnel who served in all US wars, especially living vets. I abhor war, but I honor those who protect our country. Inaccurate or old information, such as inactive departments that no longer address the issue of food assistance. So many handouts that key information could be missedor overlooked. Lack of training of social workers who are supposed to provide appropriate support for food-insecure vets. For the link to this important project by Mazon, go to: mazon.org/amicus. 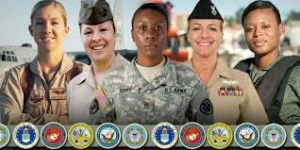 Finally, if you want to do something special for Veterans Day, which is tomorrow, consider a donation. Just go to the website and click on Ways to Give under their Masthead. What a great way to honor our veterans who fight and have fought to keep America free. This entry was posted on Friday, November 10th, 2017 at 9:14 am	and is filed under Home Page, Leftovers / Feedback / Miscellaneous. You can follow any responses to this entry through the RSS 2.0 feed. You can skip to the end and leave a response. Pinging is currently not allowed.